How did you do it? Please stop. I’m serious, get out of my head. Tonight you’re re-branding yourself as the Freeform Network. I know that isn’t just some rando name change. You are tactically teaming up to destroy my life with television. 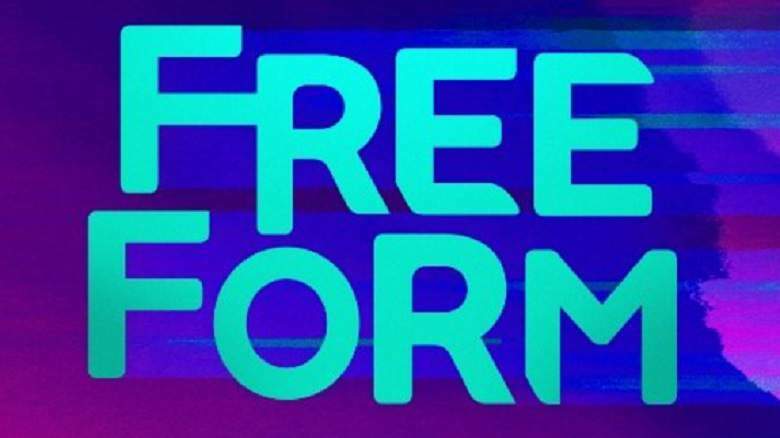 I’ll be watching tonight, as you launch #Freeform. How could I resist watching the premiere of Shadowhunters? 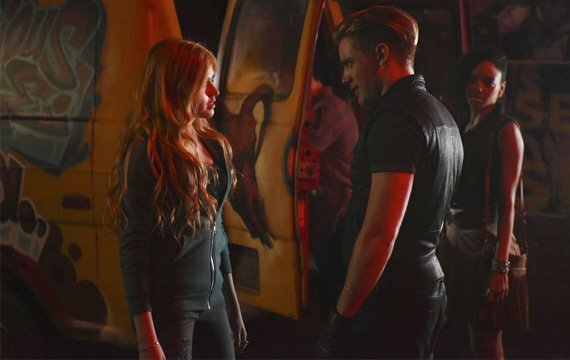 The show follows a young human named Clary as she learns that she is part angel. But it gets better: Clary is just a bit more angel than all the other angel people. Shadowhunters, based on The Mortal Instruments, Clare’s pseudo-original Harry Potter fanfiction, has already been turned into a terribly unsuccessful movie. This feels like a carefully calculated trainwreck, the kind you know I can’t turn away from. Clary is tortured because she is literally part angel. I wasn’t always hooked on ABC Family. It begins slowly. Just one episode of Switched at Birth. Wow, the plot seems kind of ludicrous… two families of different races had their babies switched, and one of the parents knew for years but never said anything? This is exactly the kind of content that I, as a young millennial, love to hate-watch. I love to hate-watch it on my Netflix account (that I steal from my dad, obvs). I love to hate-watch it on my phone and my computer, because I am totally hip and free and young. But one day there was no more SaB!!!!! Can you say disaster?? I knew there were new episodes, but how did I turn them from being on the TV screen to my viral medias and mobile devices? It turned out that after Netflix was done there was a weird boxy thing that plugged into a wall (gross) and received signals from a box on my roof. Hellooooo. Who has time to sit down for 40 minutes and be totally stationary while enjoying a show? No more SaB on hand, I quickly turned to the rest of ABC Family’s delicious programming. Like a junkie I binged through every show available on Netflix. “This is so stupid,” I thought, as I watched every single episode of Pretty Little Liars. Who the hell is A, and how/why are they devoting copious amounts of time and effort to ruining the lives of four teens for no particular reason? There’s plenty of petty stuff, but in kidnapping and murders alone they (SPOILER ALERT) kidnap the girls’ therapist, kidnap and kill one of the girls’ girlfriends, kidnap one of the girls themselves, set her free, then kidnap her again! These guys can’t seem to make up their minds. If they applied themselves to something constructive, they could probably build up a small business and like, I don’t know, raise money for charity in their spare time? Now, I gather my last ounce of moral resolve to ask: ABC Family, please stop! I was beginning to pull myself free from the latest web of lies and deception. But I’ve just seen the latest ads for your new platform, the Freeform Network. Do you really want me to take the TV out with me while I go skateboarding and dancing, while I hang out by myself at the pier, as all the youngsters do? Is there no safe place left?